It’s a golden age for science: the discovery of gravitational waves has confirmed the last major prediction of Einstein’s theory of general relativity, observation of the Higg’s boson brings us closer to understanding the origins of the Universe, and now we know how to unboil an egg! It perhaps seems a little strange then to say that science needs to change… but that’s what we’re saying. Open Science is a movement that aims to make scientific research and data accessible to everyone. It includes practices such as publishing data, providing detailed description of scientific methods, making it fast and easy to publish and communicate scientific knowledge in open journals, and making open source tools for everyone to do science. Open Science began in the late 17th century with the publication of the Philosophical Transactions of the Royal Society – the first academic journal devoted to science. Before this, scientists kept discoveries relatively quiet until they felt they (or their patrons) could profit from them. This meant discoveries were not shared and priority was difficult to prove. For example, both Newton and Leibniz laid claim to discovering calculus. On the other hand, Open Science solves many of the problems mentioned above. Open access publication of research reports and data allows for rigorous peer review by the community, not just journal peer reviewers. Open ‘pre-print’ research repositories, such as arXiv (used by the physics community) and bioRxiv (recently started by life scientists), allow communities to openly critique and debate research findings, leading to open peer review. This greater level of scrutiny encourages scientists to focus on quality rather than quantity. Open science also makes experiments more transparent and reproducible, and provides forums (such as PLoS) for the reporting of efforts that have failed to reproduce published results. Open Science can help the science community to create an environment where publicly acknowledging one’s mistakes and failures is valued, and will enhance a scientist’s reputation. We are staunch advocates of Open Science at SciFabric, and its philosophy underlies what we do. We provide open source solutions (PyBossa and Crowdcrafting) that allow anyone to build their own research projects. We strongly encourage our users to make their data open and provide tools to widely disseminate findings to the community. In his blog Billion Brain Blog, Francois Grey notes that “only a minuscule fraction of the planet’s population, an elite of professional scientists at the top of the intellectual pyramid, produces… science”. That’s why he believes “we need to define a new type of science that inverts the traditional intellectual pyramid [and]… connects people directly to the scientific process”. 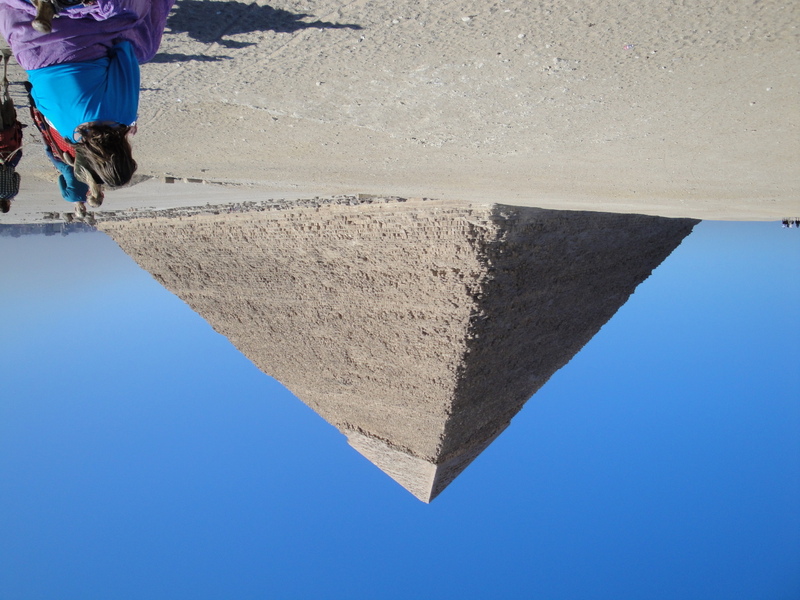 An inverted pyramid. Photo by Lars Larsson. The number of people in the world that are sufficiently educated and wealthy, and have access to adequate technology, to do science is exploding. And the need for humanity and its booming population to find solutions to social, environmental and health problems is increasingly pertinent. Universities and research institutes can’t keep up. So we need to educate, mobilise and deploy a new generation of agile thinkers. Open Science provides the tools and ethos to do so whilst making science more accountable and reputable. We believe this is a really important issue for society and would love to hear your thoughts and opinions. Please let us know on Twitter.